Wouldn’t we all like to own our own Business? Many of us dream of owning or operating our own business, may it be a large corporation or a small self-made company which enables us to do that work we like and to enhance our financial situation. Well, here are some tips to start your own business and to make it a success! Start a Shopify business now. The most important point is to establish your talent or your drive in that field of business. That will trigger your motivation and in return could assure a steady source of income. Next to this, make sure that your research on potential clients and/or markets are in need of what your company offers and this might be a consumer product a food supply or even a service on various levels. If this has a good chance and decent market potential and (very important) little or no competition then you have the base for a good and successful company. Check and build towards achieving the necessary resources (financially and legally) before you make the decision to start your own business as good preparation is half the work! -Explore and update on a frequent base on how to reach your potential clients! Make sure that the public knows your company and your product or service and how to reach you! -Establish what any eventual competition on similar products or services is charging their clients and set your strategy according such as: make the prices slightly more competitive and offer incentives to potential clients so they will choose your products or services! -Check and keep track if there are any internal or external factors which might compromise or influence your business and plan your strategy in such a way that these factors are not having any negative influence on your business: in other words prepare for the worst and expect the best! -Explore various and reliable expert advise on market related ‘ ups and downs’ and plan your strategy accordingly. Starting a Shopify business is a good place to start. -Set out your goals: where do you start and what are your predictions for the future. By setting out your goals and periodically check on the status of your goals (are they met or not) you will be able to or fine tune your goals in case you have not met them at the times set or to increase your goals when everything goes as planned! -Don’t invest too early in any company related sources, make the company financial buffer sufficient and strong enough to recover when eventual relapses in your business occurs – too early or overeager spending may result in a loss of profit which can endanger your company. Plan well and stay with both feet on the ground! -Stay your course! Every business will eventually experience set backs…..either in reluctant client buy or loss in interest from the market in general or even when the economy is falling, clients might not be in need or cannot afford your product or services. Don’t get discouraged but stay your course and offer clients better deals or payments over periods of time. This will help recovering from bad times! -Network! Keep yourself visible at all times and keep close contacts to all your connections or connections you might have established through your clients. You will never know from which corner potential business can be generated. -Stay flexible and always explore new products or services you can add to your portfolio or product range as the market might demand this and when you are not able to react to the markets demand you will loose out on opportunities that otherwise would be useful for your company as well! Good market research and follow up will enable you to change where needed and create business you otherwise not would have thought of! -Be honest to your self and to your clients! When business is flourishing everybody is happy and the sky is the limited but when harder times approach you need to be able to not only prepare for this but also stress the relationships with your existing clients or new clients and stay true to your company principals….it is better to discuss difficult issues open with clients (or your suppliers for that matter) then to hide them, honesty will bring you far! Well, I hope the above has given you inspiration and the needed information you need, start your own business and be successful in life! 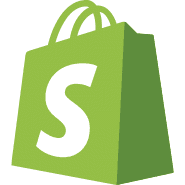 Get your Shopify Free trial now. To prevent spam and fake reviews you need to Register or Login to post a review.